“Buffalo Natur”: school and office products using mostly recycled and natural materials. This product line brings environmentally-friendly school and office products into the homes, schools & offices of consumers and helps increase student and parent awareness for protecting the environment. 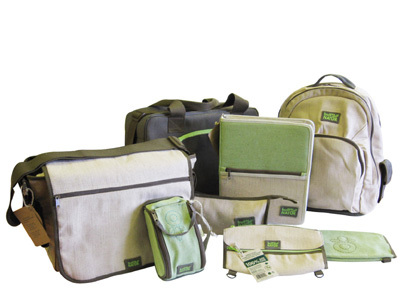 "Buffalo Natur" is the first brand of its kind that has a complete range of products from writing to portfolio products, from pencil cases to messenger bags and the first brand in its field to use a wide variety of materials from post-consumer and post-industrial recycled materials to bamboo, stone, corn starch, biodegradable and natural fabrics such as jute & cotton and soy-based ink for the product as well as for the packaging that has been kept to a minimum to avoid waste.